db8 Options will save you time! No more endless clicking & checking of all your Extensions' Global Options! No more endless clicking & checking of all your Menu Item Options! Save yourself time and annoyance. 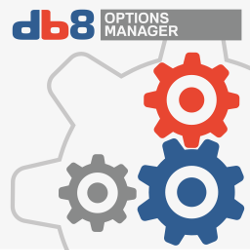 Buy db8 Options before you start with your next Joomla project!